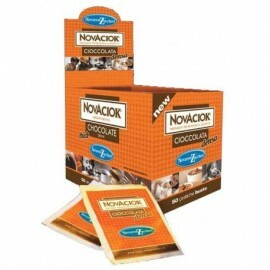 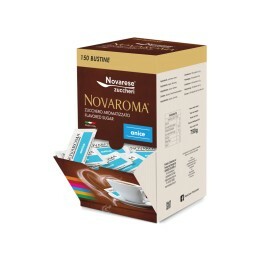 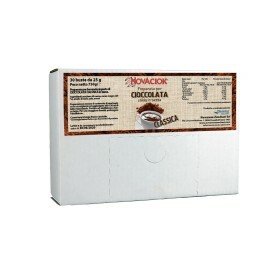 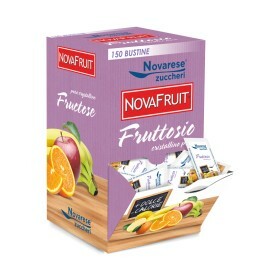 Any kind of drink will be more tasty with Novaroma flavoures sugar! 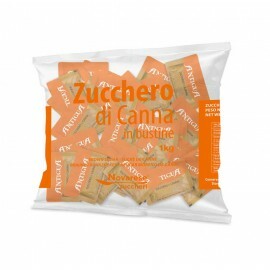 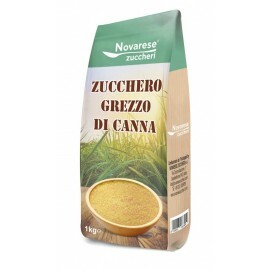 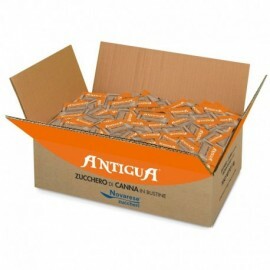 It is available in five different flavours: amaretto, cocoa, vanilla, anise and hazelzut. 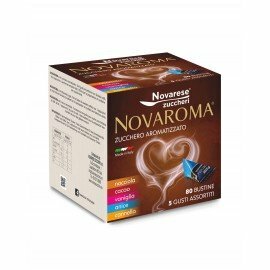 Try it to sweeten coffee, cappuccino, tea, milk, long drinks and fruit salads - you will be surprised! 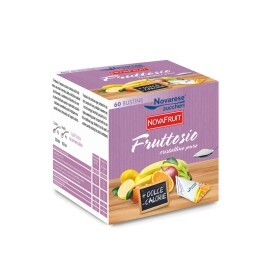 Each box contains 50 packets of single flavour sugar, 5g each packets. 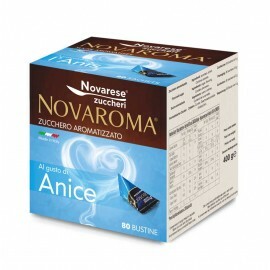 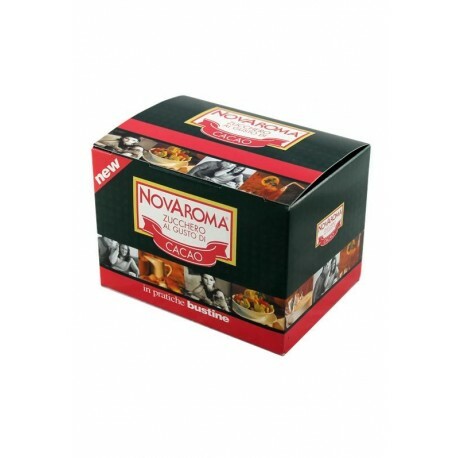 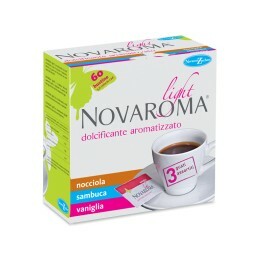 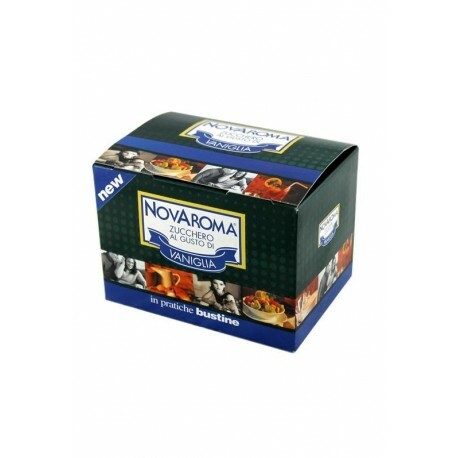 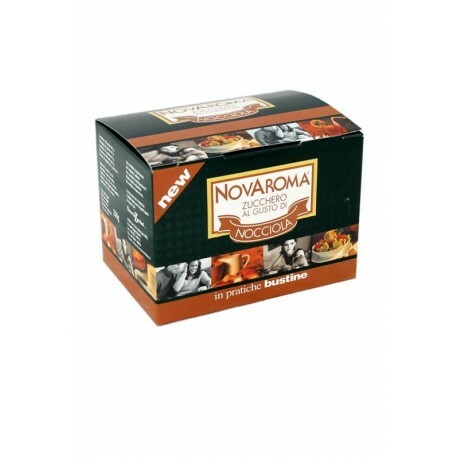 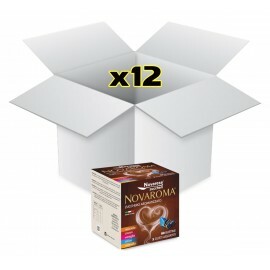 7 Review(s) for ""Novaroma single flavour" flavoured sugar"
in genere di classe superiore alle confezioni normali, essendo tascabile. 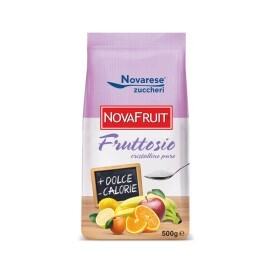 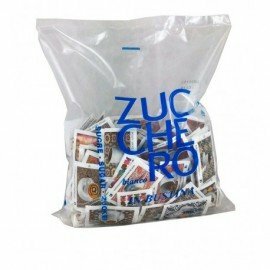 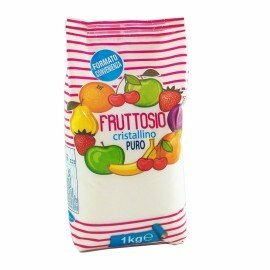 Prodotto di qualità e un ottimo gusto.